The blurb on the cover tells us "The first great works of this repertory were written in the twelfth century", from which we move to the Introduction, which informs us, "The first great works of this repertory were written in the 11th century".No matter.After this slightly false start, we are into a first class survey of one of the World's greatest literary traditions. 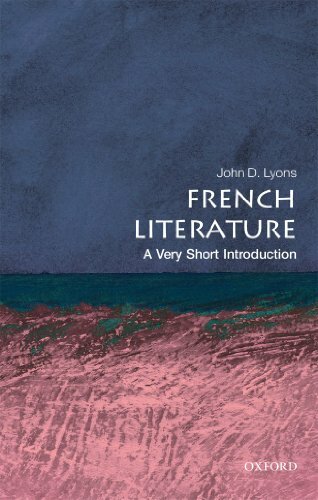 Lyons employs a clear, rather plain style, blessedly free from the jargon of literary theory.The illustrations are helpful and apposite, which is not always the case in this VSI series.The end result is a solid introduction to the subject. I hesitate to complain about omissions in what is after all a very short introduction, but I must mention a couple that surprised me:Firstly, neither Dumas - père nor fils - appears.They may well be too middlebrow for a survey of Literature with a capital L, but I would have thought that the most widely-read French author ever, whose works are routinely described as 'classics', and the author of La Dame aux Camélias would both have deserved at least a mention.More troubling is the absence of Jean Genet and Jean Cocteau.Lyons talks of "...the grand old men of the Second World War generation..." yet omits to mention either of those authors.Given the attention Lyons gives to cinema, the omission of Cocteau is particularly strange. On the other hand, a large amount of space is devoted to Samuel Becket.I understand that France was Becket's adopted country and that he turned the self-imposed discipline of writing in a foreign language to what he saw as his advantage, but he nonetheless remains much more part of the Irish tradition than the French.He warrants a mention here certainly, but not the relatively extensive coverage given. Despite these caveats, this book can be wholeheartedly recommended as an excellent introduction to an extraordinarily rich cultural heritage. This book is exactly what books in the "Very Short Introduction" series ought to be like - concise, informative, to the point, told from a point of view of someone who is clearly knowledgeable and passionate about his or her area of expertise, etc., etc. I don't often get to read books in this series where I am almost completely unfamiliar with the subject matter, so when I started reading this one I really didn't know what to expect. What I did find was a very readable and interesting introduction to one of the World's oldest and richest literary traditions. It exposed me to many works of literature over the last thousand of years that I had either never heard of before, or was only superficially familiar with. 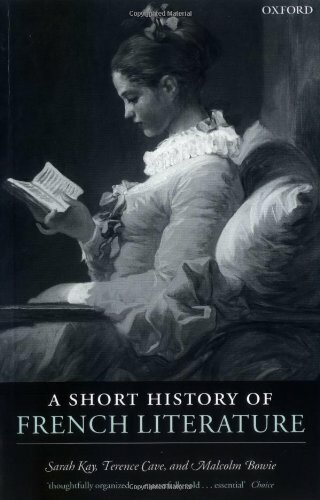 This introduction emphasizes the historical circumstances under which those literary works were written, and how themes in those works were influenced by those circumstances. However, and to the author's credit, this introduction does not try to make literature into something that is predominantly concerned with social criticism. In particular, you will not find any references to any of the -isms that have come to dominate literary theories in recent decades. This is a book about literature first and foremost, written for people who want to learn more about it. In a book of this length it is not possible to give any longer excerpts from literary works. Nonetheless, there are quite a few quotes, in both French and English, that help reader get a better sense of those works. A few shorter poems are even included in their entirety. These excerpts, short that they are, really help one get a better sense about the works that they come from. Rabelais and Montaigne, Moliere and Racine, Stendhal and Proust--the literature of France boasts a long and glorious tradition. In The New Oxford Companion to Literature in French, readers will have at their fingertips a trusted guide to this rich literary heritage. Written by an international team of experts, the Companion's 3,000 entries capture ten centuries of work produced in France and, more recently, in other French-speaking countries around the world. The coverage they provide is superb. 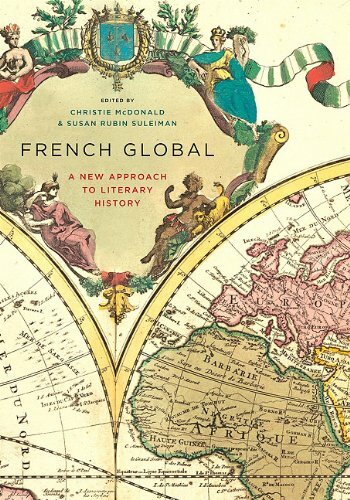 The volume highlights not only poets, novelists, and dramatists, but also historians, scientists, statesmen, and philosophers--providing a sweeping tour of French culture. Here readers will find lengthy articles on the giants of French letters, from Voltaire, Flaubert, and Balzac, to Valery, Cocteau, and Sartre. Among the new features of the Companion are substantial essays that reflect the latest scholarship on topics such as literary movements and genres; historical subjects such as chivalry or Occupation and Resistance in wartime France; intellectual movements from Scholasticism to Feminism; linguistic topics; coverage of the sciences; and the arts and media, including opera, cinema, and journalism. There is generous coverage of painters such as Degas and Delacroix, and composers such as Meyerbeer and Debussy. Scientists and philosophers also appear in thse pages (ranging from Poincare and Cuvier to Descartes, Pascal, and Rousseau). There is even an entertaining entry that cites 100 well-known quotations from French literature. Finally, the contributors have approached the literature of France in the widest terms possible, challenging the traditional canon as they examine everything from strip cartoons and pamphlets. Adventurous and wide ranging, the New Companion is more than a simple revision of the original work. 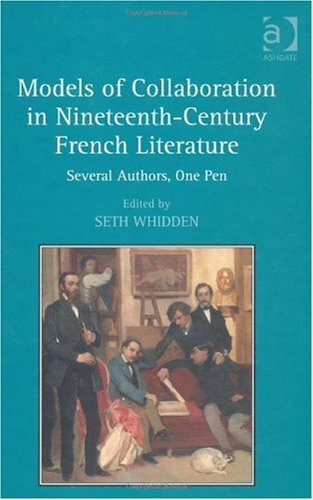 Conceived for the general reader, this volume presents French literature not as a simple inventory of authors or titles, but rather as a historical and cultural field viewed from a wide array of contemporary critical perspectives. 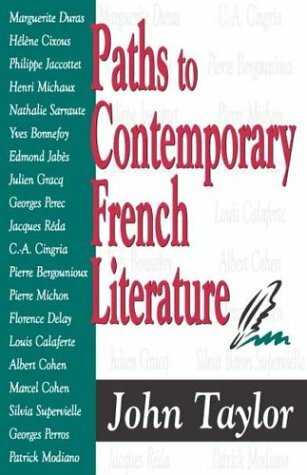 The book consists of 164 essays by American and European scholars, and covers the history of French literature from 842 to 1989. 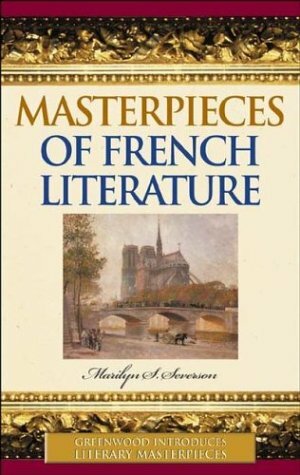 Masterpieces Of French Literature is a literary analysis written especially to help students better understand eight classic French novels. "The Stranger", "The Plague", "The Three Musketeers", "The Count of Monte Cristo", "Madame Bovary", "The Hunchback of Notre Dame", "Les Miserables", and "The Little Prince" are all examined in terms of narrative style, philosophy, historical relevance, biographical context, and much more. 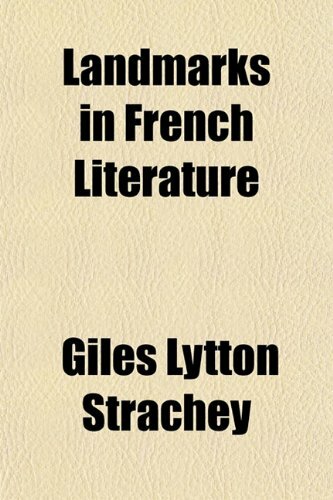 Although brief summaries of the novels are offered, Masterpieces Of French Literature is intended as a supplementary guide to aid comprehension and exploration, and not as a substitute for reading the work, nor is it the mechanical dissection and parsing of a Cliff's Notes - the essays here flow with far more depth, insight, and curiosity. Highly recommended for literature and literary studies shelves. 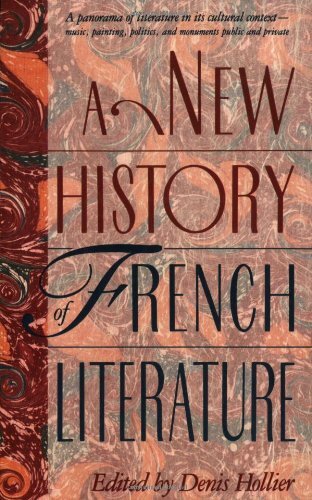 Proving that French literature has been a consistent and powerful source of cultural influence on an international level, this provocative and concise collection of 100 timeless French masterworks spans 10 centuries. Featuring a broad spectrum of literary genres, styles, and formats—with the entertaining inclusion of comic books, detective novels, and science fiction—this illuminating introduction provides cultural and social context to emphasize the importance of each work in literary history. Detailing each author's background, historical significance, and a focused summary of content, this fresh and lucid compilation offers a rich panorama of one of the most fascinating and influential literatures in the world and will inspire aficionados of great writing to seek out the complete featured masterpieces for themselves. If tackling the greatest literature written in our own language daunts us, at least we have a fair idea of the terrain; how can we even approach the literature of a different country when it is a vast expanse of unknowns? //One Hundred Great French Books//, the intrepid reader's //Lonely Planet//, maps a tidy path through centuries of France's, and other French-speaking countries', finest works--beginning with //The Song of Roland// in 1095 and finishing with modern master Michel Houellebecq's 2005 //The Possibility of an Island//.Donaldson-Evans, a professor of Romance Languages at the University of Pennsylvania, is openly passionate about this topic, and even more vitally, adept at imparting it to others with few pretensions.To avoid the feel of a college reading list, he mingles the expected Zola and Flaubert with mysteries, science fiction, memoirs, and the beloved comic series //Astérix//. Take heed: the two-page descriptions given for each book introduce the work, the author, and the impact in a fashion concise but dry.Those already familiar with the works included will find little to enhance understanding or deepen appreciation.But for those of us still quaking off these literary shores, here is a treasure map with a multitude of riches for the taking. France has been a great cultural center through all of its existence. 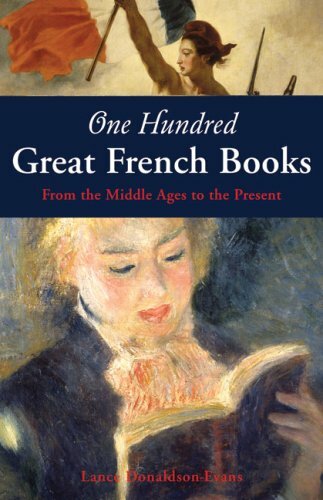 "One Hundred Great French Books" is a guide to a collection of the greatest works of French literature. 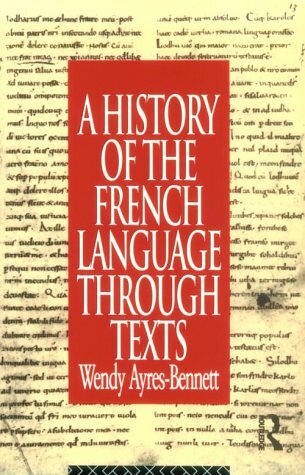 From the oral traditions of the Song of Roland, stating that God will not allow a death of solider of Charlemagne be unavenged, to more popular works such as the Hunchback of Notre Dame, "One Hundred Great French Books" is a treasure trove of information about the best of French literature, a fine addition to literary studies collections. As a former student of Dr. Lance Donaldson-Evans,' I bought this book to read what he considers great literature in the present. I find his comments enlightening and marked by his good humor. I especially liked his comments about Zola. A good read. 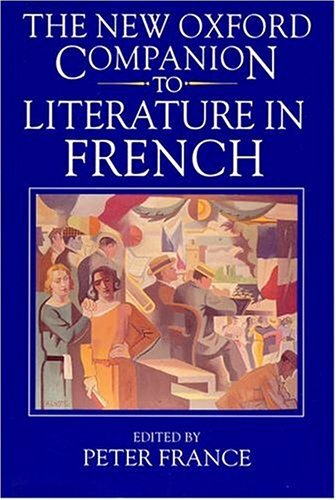 This is a terrific introduction to French literature from the Middle Ages to modern times.Each entry is summed up briefly with a commentary so that no more than two pages are provided on those included.Starting with the classic Song of Roland and including well known works by renowned authors like Sartre, de Troyes, Pascal, Moliere, Racine, Hugo and others; One Hundred Great French Books is a great introduction to some of the best works ever.However, what makes this so complete is genres normally ignored by English literature anthologies, but not by Lance Donaldson-Evans.For instance the editor also includes the comic book Asterix by Goscinny and Uderzo.With a wide gamut of genres, formats and centuries including twenty-fist century works like W, or Memory of Childhood by Perec, readers will relish this fine easy to use guide that says oui oui Francais. The first part, concerning the Middle Ages is highly informative and detailed. The Early Modern section (through the French Revolution) is similarly well done. I have small quibbles with the Modern Period section. Sartre and de Beauvoir get a fair amount of ink, but astonishingly Camus gets less than a page of discussion. He is mentioned only in passing. A bigger concern for me is a dearth of information about the Francophone literature of Africa and former colonies around the world. What about Ba, Senghor and Fanon? I consider French literature to be any literature written in the language. Perhaps the editors have a different philosophy. Still though, feminist writers and literature produced by women are better covered. The suggested reading list is well done, and I am sure to return to it on occasion. The title says "in French" and the other reviews say it's in French, but I downloaded it, and it's IN ENGLISH. Not sure what happened here, but I don't want it in English - I want it in FRENCH!!! I guess I'll go to Gutenberg. Not worth the purchase. Far too many spelling mistakes (it seems to have been scanned from printed books). Some words are separated with hyphens in the middle of the line. Many ii/iL/LL combinations are wrong, lots of accents missing. Same applies to other editions in the Classic Literature series. Just a rip off. Get all the books free and without the errors on the Gutenberg Project website. There are a few typos (mostly missing spaces between two words) but otherwise, this is a good buy. 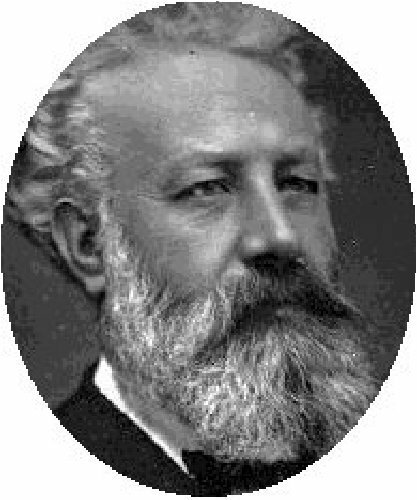 Jules Verne is really one of the best French writer and having the possibility to read it in French on the Kindle is very handy. Please note than though it's one of the most famous novel of Jules Verne, De la Terre à la Lune (From Earth to Moon) is not included even though the second part is. But other than that, it's a must have for all French speakers and fans of early scientific novels! This is a very good buy if you can read French. For only one dollar you get 30 books by Jules Verne! His books are very good although it gets a wee bit boring at sometimes. The file is very big and 30 books is alot when you think about it! Algonquian and Iroquois natives of the American Northeast were described in great detail by colonial explorers who ventured into the region in the seventeenth and eighteenth centuries. 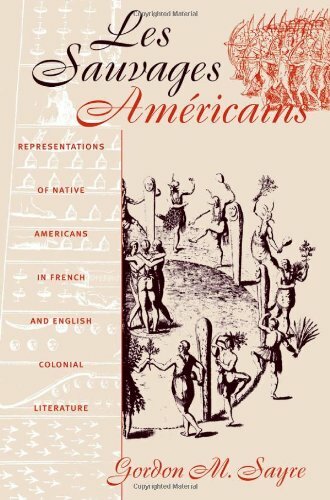 Beginning with the writings of John Smith and Samuel de Champlain, Gordon Sayre analyzes French and English accounts of Native Americans to reveal the rhetorical codes by which their cultures were represented and the influence that these images of Indians had on colonial and modern American society. By emphasizing the work of Pierre François-Xavier Charlevoix, Joseph-François Lafitau, and Baron de Lahontan, among others, Sayre highlights the important contribution that French explorers and ethnographers made to colonial literature.